When John Tyler became the president after the death of William Henry Harrison, he was referred to by the political wags of the day as “His Accidency.” Millard Fillmore was the second president to ascend to the office upon the death of a president, though, he was not so dubbed. Fillmore was an influential politician in Buffalo and New York. 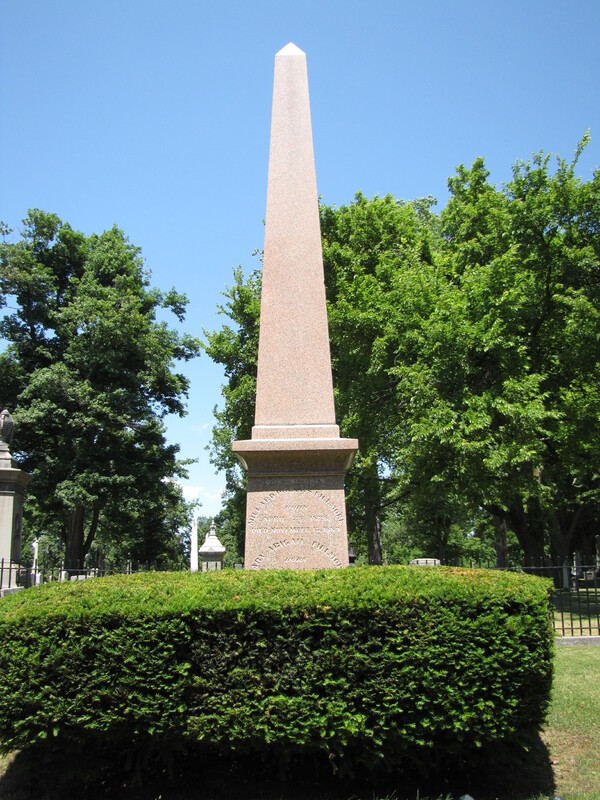 In Buffalo, he co-founded the Univerisity at Buffalo and helped found the Buffalo Historical Society, as well as the Buffalo General Hospital. Fillmore served in Congress representing his district in New York State and later was elected as the state’s first comptroller. At the Whig Convention in 1848, Millard Fillmore were nominated to run for Vice President. On the top of the ballot was the famous General Zachary Taylor. They won. Two years later, President Taylor died as a result of eating a bad bowl of cherries and sour milk and the ensuing medical treatment. Fillmore assumed the presidency on July 9, 1850 and served until the end of the term in 1853. This did not end his political career, he was nominated for the presidency in 1856, just three short years later, on the American Know Nothing Party ticket but came in third. Though, Fillmore only carried the state of Maryland, the ticket garnered 21.6% of the popular vote, which still represents a highwater mark in third party politcs. 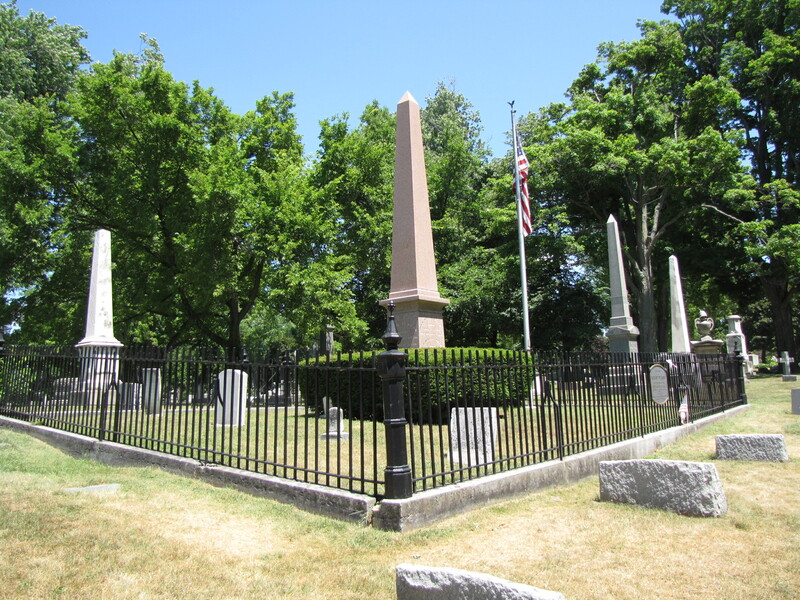 The two obelisks in the picture to the right mark the graves of Millard Fillmore’s law partners Nathan Hall and Solomon Haven, mirroring the law firm’s stationery–Fillmore, Hall, and Haven. Impossible question. 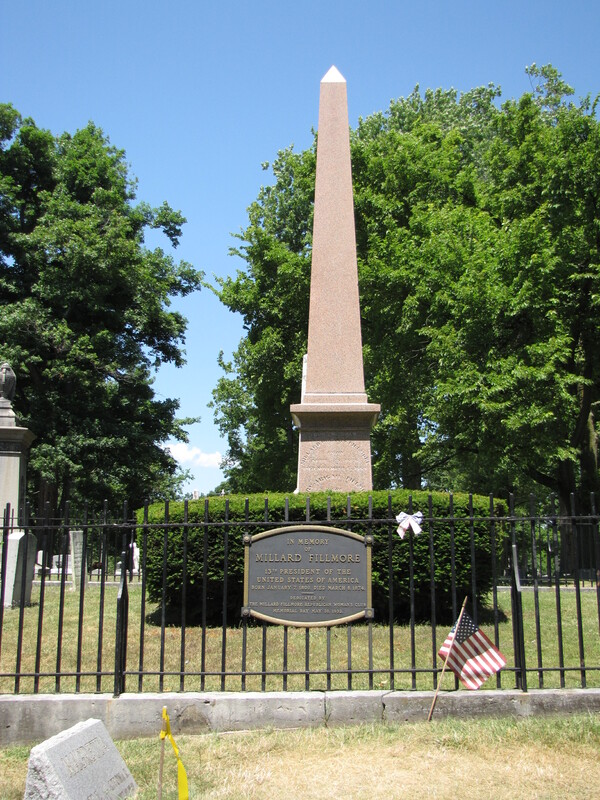 Is the Fillmore monument made of Salisbury Pink Granite?